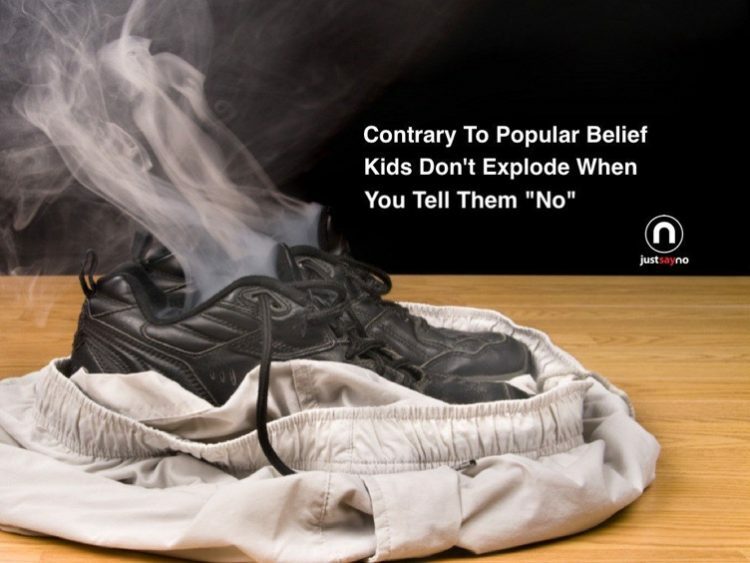 Ask any parent and they will tell you kids don’t spontaneously combust when you say no to something they want. They may blow up for a moment or two, but don’t worry they won’t combust. It can be hard to say no to your kids. They can be very manipulative. They will act out, negotiate, and find every possible angle to get a ‘yes’ from you. If you’re struggling with saying no to your children remember this; saying no teaches healthy habits and valuable communication skills our children need to succeed in life. It is important that they understand no is a part of life. Do you get everything you ask for from your spouse, your employer, your friends? Of course not. We all want to protect our children but creating a ‘yes’ fantasy land is just an illusion that will spontaneously combust when they are adults. In order to have anything, we’ve all had to say no to some things. Teach your children to say no so they are confident and prepared when faced with peer pressure and other difficult choices. A little no today pays huge dividends in your child’s life in the future.